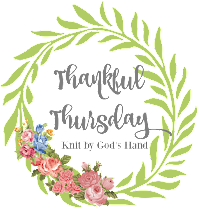 Knit By God's Hand: Friday Fragments: Inappropriate Reactions? OK... dont be jealous... but guess where I get to go tonight & tomorrow? 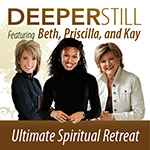 Yep - the Deeper Still conference with Beth Moore & Priscilla Shirer & Kay Arthur!!!! My cousin had a ticket she wasnt going to be using so she asked me if I wanted it... WANTED IT!!! She just gave it to me... It was probably inappropriate of me because she gave it to me in the funeral home when Papaw was there & I was jumping up & down, screaming with excitement. Probably not the normal reaction people see in funeral homes... can you blame me? So You Think You can Dance!!!! .... They revealed the top 20 dancers last night & there was only 2 in there I even remember from all the auditions. I always love the Broadway guys... For some reason, I really like the ballroom dancer lady this year too. Maybe because she's "older". I also love the guy that is always screaming "OOOOOHHHHHH" - I love someone who just naturally screams in daily life. Now I have to work on my Cat Deeley accent. SPAT OF THE WEEK: ... I'm actually going to trade this out this week for the FUNNIEST MOMENT OF THE WEEK WITH THE HUBS... because I cant NOT share this moment. We're sitting in the front row at Papaw's funeral, next to my parents. Everyone is getting settled in... the music starts. Well dang it - everytime the first note of music is played at a funeral, it just instantly cues the tears for me. So as soon as I heard the music, my eyes started watering up... Ricky looked over at me & with all seriousness in him, he said, "What's wrong?"... I just looked at him like he had lost his mind & then pointed up to the... ummm.. HELLO - casket?!?!?! & then looked at Ricky & said, "Really?" ... we then just busted out laughing at each other. That man... how his brain works sometimes... & yes for the record, that's the second inapproriate reaction from me at the funeral home. I'll go ahead & tell on myself with the third inappropriate reaction.... right before the funeral, my mom went back to see the twins. While standing there, the heel of her shoe broke. Literally just fell off. She had to do that funny, one foot highter-one foot lower walk down the aisle. When she showed me her heel, I busted out laughing. Of course that would happen - 1 minute before the funeral started. Ricky kept elbowing me & saying, "Give her your shoes... DO IT... give her your shoes" Between him elbowing me & my mom sitting there with a broken shoe on - it just triggered the giggles in me. I think its safe that emotional situations cause me to do a nervous laughing thing... & if you dont believe me, let me show you my wedding video where I couldnt hardly say my vows because I was laughing through the whole ceremony.... maybe I need help. Have an awesome weekend!!!!!!!!! :) Hope you are blessed beyond measure!!! Hooray for AC and yes, I loved Google yesterday! I am so happy you are getting to go to Deeper Still. I read Beth Moore's blog yesterday and it sounds like this is the last one. Is that the last one for the year, or is THE last one? so jealous about Deeper Still!! we did that BS this spring. enjoy!!!! I do the nervous laugh thing too!! Your inappropriate giggles made me giggle!! I am sure your Papaw was glad you were laughing!! Hope you have a wonderful night with Beth Moore!! One of my work friends drove up to Memphis to go to that conference, and she said it was AMAZING!!! I know it's wrong to covet, but I'm so jealous of your getting to see Beth Moore, just as I was when my friend did. You're going to have a great time, and it will be such a blessing. You are one Mother Fragger! I love the saying, "Let's Frag". Do you mind if I steal it sometime? Have a great weekend! m.
LOVED Sytycd! Loved the format of the top 20 show and the fact that they have 20 this year!! It is going to be a GREAT season!! Phew - I haven't been able to comment. But, if I use Google Chrome, it will let me! Yea!! Inappropriate giggling is totally appropriate for funerals! I love it! I like the girls' treats too! what a week.. I am glad you got some laughs in there.. Hugs to you.. If it's been as hot there as it WAS here (not today - - - we're only in the mid 50's today) you NEEDED that AC. My whole family is inappropriate at our own family funerals. We love to see each other and sometimes that's the only time we do. Hooray for a ticket to see Beth Moore, and hooray for the AC man!!! I can totally relate to the laughing at inappropriate times--I'm such a terrible example for anyone, and funerals are no exception; I almost wet my pants at my cousin's funeral, years ago. I'm so sorry to hear that you lost your dear, sweet Papaw. Glad Ricky was goofy enough to ask that question and make you laugh. Sorry, again, for the lost feed last week. I'm glad you found your way :) Thanks for your understanding.